Station1 gratefully acknowledges the commitment of our partners to socially-directed STEM education and research. Encompassing leading edge science and technologies for space, agriculture, civic advancement, health and precision medicine, advanced manufacturing, digital automation, artificial intelligence, and rural infrastructure, Station1 has an amazing set of partners each of which have committed to hosting multiple students as a key component of Station1 programs. Students will work in teams with some of the top scientists and engineers in the country and the world during internships on authentic, socially-directed research and development projects, thus gaining both deep, foundational frontier knowledge, as well as invaluable career experience. Accion Systems is pioneering scalable electric propulsion technology that will completely transform what spacecraft can do in and beyond Earth's orbit. Accions Systems in based in Boston, Massachusetts. AdaViv is creating an artificial intelligence-enabled adaptive environment for optimally operating indoor agriculture with technology that delivers unprecedented precision and quantitative insights for indoor cultivators to inspect 24/7, save energy and costs, and achieve higher yields and quality. Adaviv is a winner of MIT DesignX competition in the 2018 cohort and currently based at MIT, Department of Urban Studies and Planning in Cambridge, Massachusetts. Altaeros’ mission is to deliver the next generation of infrastructure to rural and isolated communities around the world by combining proven technology with flight control innovations that enable cost effective autonomous deployment of tethered airborne platforms. Altaeros is a proud founding company of Greentown Labs in Somerville, Massachusetts, the largest clean-tech incubator in North America. Commense is pioneering a deep understanding of the microbiome early in life and its fundamental role in promoting a lifetime of health. Drawing insights from natural exposures to beneficial microbes, Commense is developing approaches to guide the priming, seeding, and maintaining of the microbiome in infants and children. Commense is based in Boston, Massachusetts. embr® labs is driven by a shared belief in the importance of connecting mind, body and environment and is working to harness the power of temperature to improve personal comfort. Their first product, Embr® Wave, is powered by patent-pending technology developed at MIT that uses advanced materials and smart algorithms to produce maximally effective individualized warming and cooling. Embr® labs in based in Cambridge, Massachusetts. Emulate, Inc. is a biotechnology company that is enabling a new era of precision medicine and the development of applications for personalized health using Organs-on-Chips technology that offer researchers a new standard for predicting human response — with greater precision and control than today’s cell culture or animal-based experimental methods. Emulate is based in Boston, Massachusetts. Gemline® is a multi-award winning company at the leading edge of advanced manufacturing, digital automation, industrial design, and innovation. Gemline® brings custom promotional products to a wide variety of industries: business, sports, fashion, education, travel, and more. With a full in-house design team, a global supply chain and customer base, Gemline® brings cutting-edge and relevant trends to the market, from ideation through delivery. 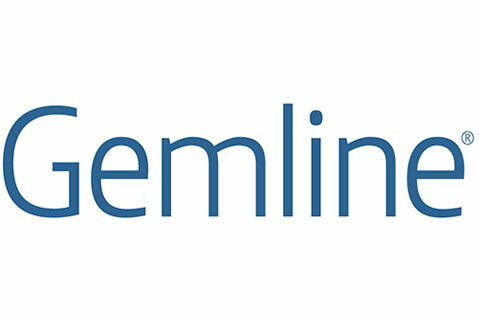 Gemline® is headquartered in Lawrence, Massachusetts. Harvard University, Kennedy School of Government, Ash Center for Democratic Governance and Innovation, Data-Smart City Solutions is working to catalyze adoption of data projects on the local government level by serving as a central resource for cities interested in this emerging field. Their research focus is the intersection of government and data, ranging from open data and predictive analytics to civic engagement technology. The Ash Center for Democratic Governance and Innovation is based in Cambridge, Massachusetts. Organ Manufacturing Group is a biotechnology company with a mission of manufacturing of an unlimited supply of transplantable organs before the end of the decade for the over one hundred thousand people on the organ transplant list who need them. The Organ Manufacturing Group is based in Manchester, New Hampshire. Manus Bio specializes in fermentations to make plant-based ingredients - a process which is sustainable and environmentally friendly. Manus bio create ingredients found in nature by re-creating natural processes, but we do it through fermentation rather than through industrial agriculture. Manus Bio is based in Boston, Massachusetts. Vor Biopharma is pioneering novel targeted cell therapies for cancer using the CAR-T therapy approach which works by modifying the body’s own immune cells (T-cells) so that they recognize and kill cancer cells by targeting markers (antigens) on the cells’ surface. Vor Biopharma is based in Boston, Massachusetts.